When this card is Normal Summoned: You can Special Summon 1 “Rose Dragon” monster from your hand or GY, except “White Rose Dragon”. You can only use each of the following effects of "White Rose Dragon" once per turn. ● If you control a Tuner monster that is Dragon or Plant: You can Special Summon this card from your hand. 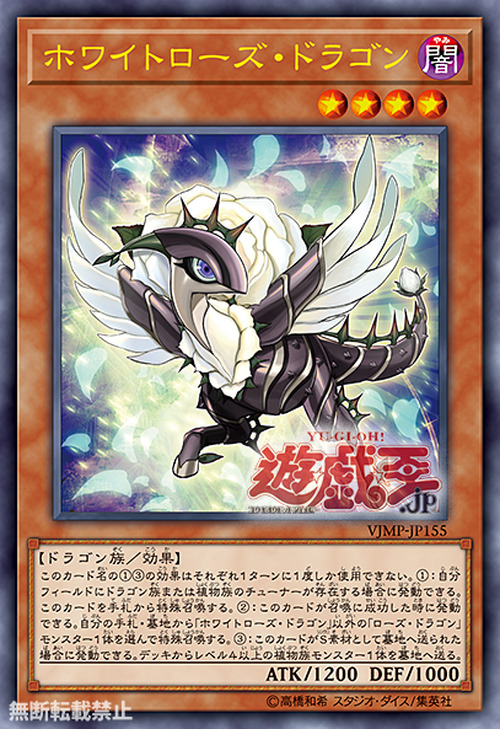 ● If this card is sent to the GY as Synchro Material: You can send 1 Level 4 or higher Plant monster from your Deck to the GY.